George Bellas is a principal with the suburban Chicago firm of Bellas & Wachowski. Since ending his tenure as a state prosecutor in 1975, George has been involved in complex commercial and tort litigation. His knowledge of technology has been utilized in developing effective techniques to facilitate discovery and to insure full disclosure. 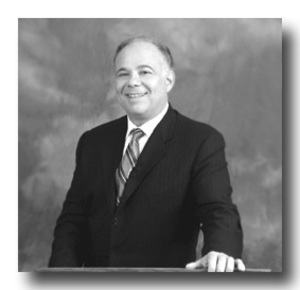 George has been involved with auto products liability cases as well as complex cases involving large numbers of plaintiffs who have been victimized by fraud or have had their civil liberties stripped from them. George brings a high level of intensity, technology and skill to complex cases on a national level and is frequently asked to participate in large cases to assist in organizing the information obtained from opposing parties. He has been named an Illinois Super Lawyer by Chicago magazine for four consecutive years since the inception of the program. He has litigated claims across the country involving SUV roll-overs, the Federal Family Medical Leave Act, class actions on behalf of 80,000 consumers against a national bank for violation of the Illinois Mortgage Act, class actions against one of the largest technological manufacturing companies in the world for violation of the Federal Family Medical Leave Act and others. George has presented numerous seminars and papers to organizations such as the Association of Trial Lawyers of America (ATLA), the Utah Trial Lawyers Association, the Illinois State Bar Association's Health Care Section Council, the journal of the Colorado State Trial Lawyers, the Ohio Trial Lawyers' Association, and numerous local bar associations.